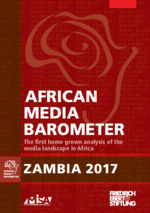 In the wake of the first peaceful transition in power in Zambia in 1991 through the Movement for Multiparty Democracy (MMD), hopes for political reform were quickly dashed. The government acted in an increasingly authoritarian manner, attempting to make up for a lack of democratic legitimation with stronger curbs and restrictions on civil society and trade unions. In addition to legal limits being placed on the latitude for civil society activities, there was a danger that civil society would lose access to the political class and the media that is dependent on it and that its demands would become a dead letter. The electoral victory of the Patriotic Front (PF) in 2011 changed the political equation. The change in government has developed a political momentum that has opened up opportunities for institutional and legal changes in several fields of policy. And even though the policy of the PF-led government has been exhibiting increasingly authoritarian tendencies, there are social and political actors that are able to once again act as champions of democratic rights. The President of the country and leader of the PF for many years, Michael Sata, died in 2014. Edgar Lungu won the by-election for the remainder of the term, receiving barely 1.7 per cent more votes than his opponent. The following regular Presidential elections were also won by Lungu with 50.3 per cent of the votes cast. The Friedrich-Ebert-Stiftung (FES) has been active in Zambia since the middle of the 1960s. The focus of its commitment there has been on securing and further developing democratic and social standards. It is to this end that the FES supports the political dialogue both between key groups in society as well as between the government and governing party on the one side and important representatives of Zambian society on the other. 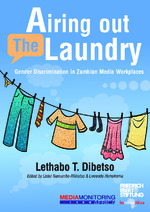 The FES works in particular with trade unions and civil society actors, among others the Center for Policy Dialogue, the Ministry of Labour and Social Security and the Zambian Congress of Trade Unions. 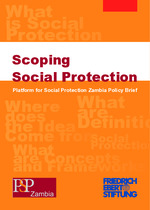 The FES office in Zambia is furthermore responsible for the regional work line of social policy. 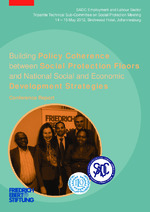 Here the FES works together with regional partners such as the Southern African Trade Union Coordination Council (SATUCC) and the Southern African Social Protection Experts Network (SASPEN). Learn more about our work in Zambia on the project's website.